WorkPro is a web-based employee screening and induction solution that centralises fundamental compliance requirements to get individual’s ‘work ready’ quickly and simply. It allows employers the opportunity to view, validate, track and manage employment related information via a single login. Organisations can choose particular single services that suit their business needs, or utilise our entire suite of services. 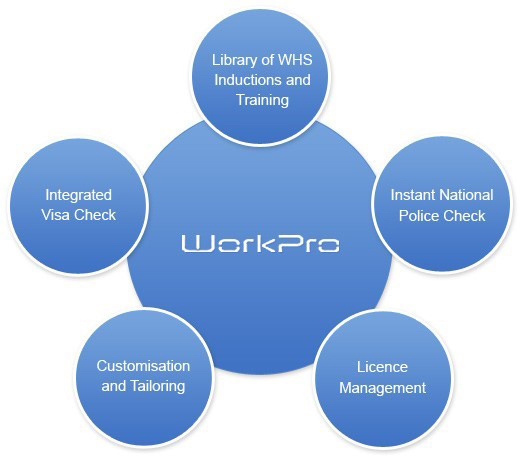 WorkPro reduces time, effort and costs by being the only company in Australia to provide a centralised portal with the ability to manage multiple employment and compliance related processes. Results are portable from employer to employer. Pay only when each police check or induction is validated, which is when the certificate of completion is produced. WorkPro is the only company in Australia to have a direct link to the Department of Immigration and Crimtrac. Select “Sign Up” and enter your details. Please note that ‘Visa Check’ is a mandatory field. If you are not an Australian Citizen, you will need to have your passport handy. Once you have completed all the tasks you’re your CIN and proof of completion will be emailed to you. Should you have any questions please call your local branch and one of our consultants will be able to assist you. © Copyright 2019 Labourforce Australia. All rights reserved. Website developed by Pont Media.